På denne side har jeg påbegyndt en linksamling, som med tiden skulle dække de centrale områder i projektet Lægekunstens Rum. I første omgang er der medtaget links omkring projektets case-studier omkring Sarah Network, Vidarkliniken og Shiranui Stress Care Center samt en noget ustruktureret gruppe af historiske referencer til lægekunstens rum gennem tiderne. Lyons, Albert S.: Ancient Hebrew medicine. Lyons, Albert S.: Theoi Greek Mythology / Asklepios / Asklepios Cult / Hygeia / Hygeia Cult / Theoi Classical E-texts Library / Encyclopedia. Lyons, Albert S.: Greek mythology and the temples of Asclepios. Miller, Paul: Sanctuary of Asclepios. Answers.com: Asclepius / Rod of Asclepius. Dauphin, C.: From Apollo and Asclepius to Christ From Apollo and Asclepius to Christ in Liber Annuus 49 1999 pp. 297-430 (pdf). Answers.com: Hippocrates / Hippocratic oath. Lyons, Albert S.: Pre-Hippocratic medicine: The philosopher-scientist. Loanides, A.: The Hippocratic wound healer. Lyons, Albert S.: Medicine in Hippocratic times / Hippocrates. 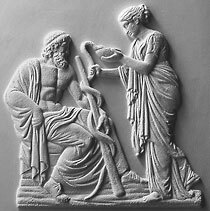 William Harris: Medicine and Pharmacopoeia chapter 5 in The Greek Myths. Marketos, S.G. & Poulakou-Rebelakou, E.: Traditional medicine in ancient Greece (coexistence of Asclepian art and Hippocratic medicine) in Przegl Lek. vol. 52 no. 12 1995 pp. 612-14 (abstract). Marketos, S.G.: The parallels between Asclepian and Hippocratic medicine on the island of Kos in American Journal of Nephrology vol. 17 no. 3-4 1997 pp. 205-08 (abstract). Rynearson, N.: Constructing and deconstructing the body in the cult of Asclepios (paper) Princeton University (pdf). Compton , M.T. : The Association of Hygieia with Asklepios in Graeco-Roman Asklepieion Medicine in Journal of the History of medicine and Allied Sciences vol. 57 no. 3 2002 pp. 312-29 (abstract). Horstmanshoff, H.F.: Asclepius and temple medicine in Aelius Aristides' Sacred Tales in Studies in Ancient Medicine no. 27 2004 pp. 325-41 (abstract). Steger, F.: Daily medical practice in the Roman Empire from the patients perspective: P. Aelius Aristides, a patient of Asklepios in Pergamon in Med Ges Gesch. no. 20 2001 pp. 45-71 (abstract). Albini, U.: Aelius Aristides and Asklepius: the joy of being ill in Forum vol. 1 no. 1 1991 pp. 1-3 (abstract). Sykiotis, Gerasimos P. et al. : Of temples and plane trees: the Hippocratic legacy in Hormones 2005 4 (1) pp. 55-58 (pdf). Marketos, S.G.: Hippocratic medicine and nephrology in American Journal of Nephrology vol. 14 n4. 4-6 1997 pp. 264-69 (abstract). Marketos, Spyros: Origins of nephrology, Greece and Byzantium in American Journal of Nephrology no. 17 1997 pp. 205-08. 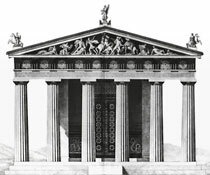 Robl, Werner: Eine Arztkarriere im Römischen Kaiserreich: Galenus von Pergamon - Leben und Werk. Nutton, Vivian: The fatal embrace: Galen and the history of ancient medicine in Science in Context vol. 18 no. 1 2005 pp. 11121 (pdf). Matthew E. Falagas: Science in Greece: from the age of Hippocrates to the age of the genome in The FASEB Journal no. 20 2006 pp. 1946-50 (samme i pdf-format). Lahanas, Michael: Ancient Greek and Roman medical instruments. Surgical instruments from ancient Rome. Viklund, R.: Jesusparallellerna / The Jesus Parallells. Wilcox, Robert A., & Emma M. Whitham: The symbol of modern medicine: Why one snake is more than two in Annals of Internal Medicine vol. 138 no. 8 pp. 673-78 (pdf). Lyons, Albert S.: Medicine under Islam: Arabic Medicine. Lyons, Albert S.: Medieval medicine: The rise of Christianity. Muhaqqiq, Mahdi: Medical sects in Islam - The empiricists - Ashab al-Tajarib - The dogmatists - Ashab al-Qiyas - The methodists - Ashab al-Hiyal - Notes. Nuland, S.B. : Heroes of medicine in Time Magazine 01.10. 1997. Billedessay om Sarah Network - Jens Hvass arbejdspapir (pdf). Ribeiro, Gustavo: Sarah Netværk af hospitaler: Behandling, arkitektur og teknologi in Ugeskrift for Læger vol. 163 no. 23 2001 pp. 3267- . Connheim, Ulrika & Victoria Sjöstedt: Den brasilianske nyskabelse in Ugeskrift for læger vol. 166 no. 23 2004 pp. 2280-83. Christensen, Anne-Lise: Mødet med patienter og pårørende in Ugeskrift for læger vol. 162 no. 51,18. december 2000. Harritshøj, Rune Vitus: Oh Lelé: Brasiliansk hospitalsbyggeri in Arkfokus no. 4 2007, pp. 4-9 (pdf). Waras, Annette og Brita Øhlenschlæger: Et anderledes bud på genoptræning in Fokus no. 4 2000. Waras, Annette: The Sarah Network of hospitals for the locomotor system -Indtryk og facts af SARAH organisationen. Entre a arte e a técnica (om Sarah Salvador) in ProjetoDesign marts 2001. Alves, André Augusto de Almeida Alves: Hospital do Aparelho Locomotor de Fortaleza, CE (om Sarah Fortaleza) in Ponto no. 5 1999. Nobre, Ana Luiza: João Filgueiras Lima: arquitetura como processo (aulaen ved Sarah Brasília) in Portal Vitruvius februar 2006. Ekerman, Sergio Kopinski: João Filgueiras Lima: arquitetura como processo (børnerehabiliteringen ved Sarah Lago Norte) in Portal Vitruvius september 2005. Posto Avançado da Rede Sarah em Macapá in mínimo denominador comum pp. 44-47 (pdf). Evelise Grunow: João Filgueiras Lima: Hospital Rede Sarah, Rio de Janeiro, arcoweb 27.10.2009. Adriano Carneiro de Mendonça: João Filgueiras Lima, Lelé, (interview) ENTRE 01.12.2009. Cláudia Estrela Porto: A Nova Sede, Fundação Athos Bulcão. Mari Hart: Diário de uma mãe polvo! 10.01.2010. Simone Capozzi: Conheça o trabalho de um dos mais surpreendentes arquitetos brasileiros, João Filgueiras Lima, o Lelé, UOL 20.07.2010. João Filgueiras Lima: TRT da 5ª Região da Bahia, Salvador, arcoweb 12.11.2010. Jorge Isaac Perén: Estudo sobre a obra de João Filgueiras Lima (Lelé). Hospital Sarah Kubitschek - Fortaleza, CE, arcoweb 27.10.2007. Lívia Botin: Lelé, um construtor de idéias geniais em baixo custo, rapidez e conforto ambiental in Ciência e Cultura vol.60 no.1 2008. Diretora-executiva da Rede Sarah fala sobre a perda do “eu”, SER Lesado 18.01.2012. Lúcia Willadino Braga: The Sarah Network Of Rehabilitation Hospitals, International Brain Injury Association no. 4 2008. Many young employees ready to explode, warn experts in Japan Today april 26, 2007. Shin'ya, Choichi & Mitsuo Tanaka: A study on the space designs of wards for patients with stress-related disease. Part 1. The correlation between recovery from stress-related disease and the space designs on the seaside ward of Shiranui ospital in Research Reports of the Ariake Technical College 2001 (abstract). Shiranui Hospital, Stress Care Center in L’OSPEDALE DEL TERZO MILLENNIO Alba, 17-18-19 maggio 2006. Rassegna Internazionale di Progetti ospedalieri pp. 13-15 (pdf). Cooper, Graham: Bringing nature nearer to the patient in On Japan no. 721 okt. 2003 p. 6 (pdf). Cooper, Graham: Second nature - Hospital art & design in Japan in Art & Architecture Journal sommer 1999.
Cooper, Graham: Turning Japanese in HD Hospital Development Magazine sept. 1997. Vavili, Fani: Ward Units: What is new? - a paper for UIA-PHG seminar in Sao Paulo 2004 (pdf). Vidarkliniken - hjemmeside. Vidarklinikens arkitektur. Billedessay om Vidarkliniken - Jens Hvass arbejdspapir (pdf). Asmussen Arkitektgrup AB (arkitektkontoret bag Vidarkliniken). Goethean Science (om linjerne mellem Goethe og Rudolf Steiner). Färgbygge (ledet af Fritz Fuchs, som har lavet Vidarklinikens farvesætning). Asmussen, Anika: Målningsterapi - Med smärtpatienter på Vidarkliniken in Svensk Rehabilitering no. 1 2004 pp. 34-35 (pdf). Flatters, Ursula: Vidarkliniken - Efter cancern in Svensk rehabilitering no. 1 2001 pp. 36-37 (pdf). Schönström, Suzanne: Påverkar cancermedlet Iscador livskvaliteten? Pro Sana no. 2 2001 pp. 28-29 (pdf). Hamre, H.J., et al. : Anthroposophic therapies in chronic disease: The anthroposophic medicine outcomes study (AMOS) in European Journal of Medical Research no. 9 2004 pp. 351-360 (abstract). Hamre, H.J., et al. : Eurythmy therapy in chronic disease: a four-year prospective cohort study in BMC Complementary and Alternative Medicine 23. april 2007. Swartz, Jackie: Är massvaccination mot barnsjukdomar nödvändig?. Coates, Gary, J & Susanne Siepl-Coates: New design technologies: healing Architecture. A case study on the Vidarkliniken in Journal of Healthcare Design vol. 8 1998. The Rudolf Steiner Archive med stor database over artikler, bøger og foredrag.